Two of the number of processes light undergoes when it interacts with matter is reflection and refraction. Depending on the property of the matter it interacts with, light either bounces back (undergoes reflection) or it passes through the matter but its speed and direction may change–referred to as refraction. The consequence of these simple processes can be from just unusual to dramatic in real life. At times, when refraction occurs, under the right conditions, i.e. when the incident angle is bigger than the critical angle, total internal reflection occurs. Then things get a lot more interesting. The Discrepant Event: Now you see it…now you don’t! This discrepant event is considerably more challenging than the preceding two in the series. For this light entertainment, I had my students stand at a slight distance from a beaker under (not inside) which I placed a coin (see figure 1). 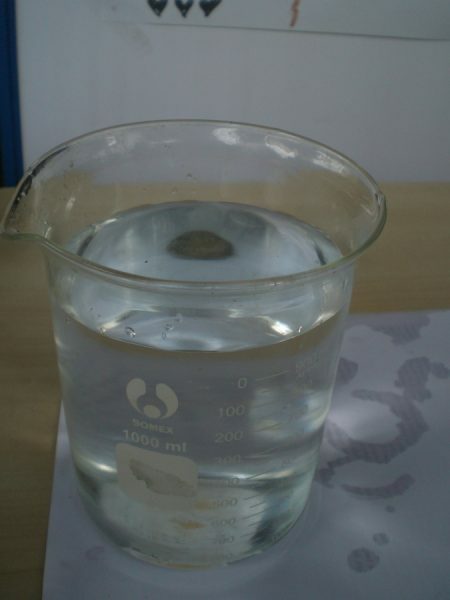 Then I slowly started pouring water into the beaker. At some point the coin disappeared from view (see figure 2). 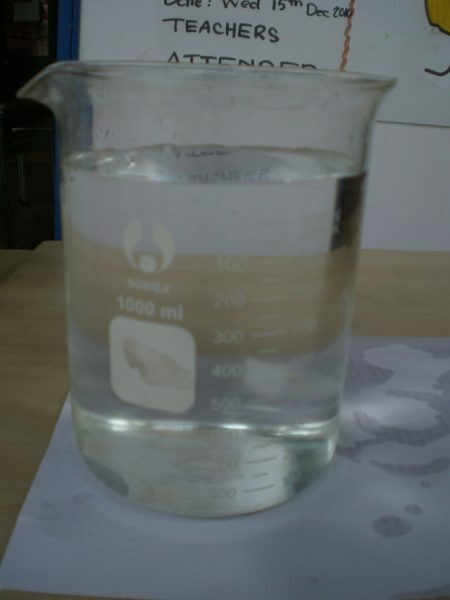 Then I had my students all take a step forward, changing the angle at which they viewed the beaker. See figure 3 for the results. Fig. 1. Coin under an empty beaker. Fig. 2. View of the same beaker from the same place as in fig. 1 but with water. Fig. 3. A close-up view of the same beaker. 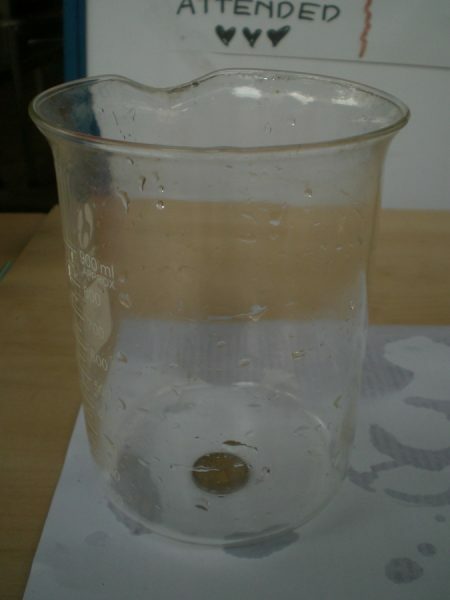 And the question is: Why does the coin disappear from view when water is added to the beaker (fig. 2)? Extension: In figure 3, why does an image of the coin appear on the far side of the beaker? angle of reflection, critical angle, total internal reflection. Mole Challenge: Can You Burrow Through This?